Even though Windows Seven is a 7-year-old operating system, proportion of population who use it remains relatively high. Personally, I think Windows 7 interface is elegant and user-friendly. Its boot screen really makes me impressed. It is true that Windows 7 is still a good choice at the moment. Microsoft announced that they will continue supporting it till 2020. So you can keep your mind on using your computer for at least 3 years. 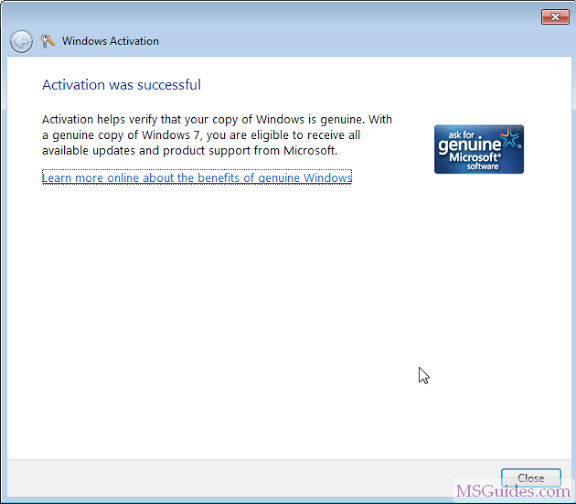 In today’s post, I will show you how to activate all versions of Windows 7 permanently without paying a dime. There are currently three ways to get a free license: first, by phone, which is the best way; second, by using KMS client setup keys, which is easiest; and third, by using activator tool. Honestly, I do not recommend the third way because Windows 7 Activator tool is often suspected of hacking tools by antivirus programs. If you don’t feel safe to use it, please try the first method. 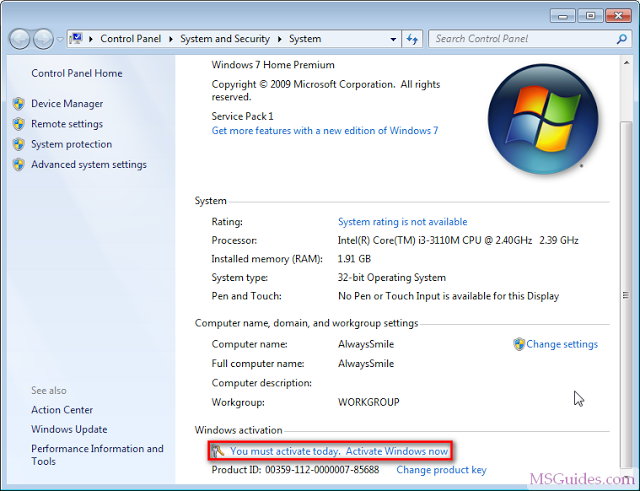 The following are the detailed instructions for activating Windows 7. 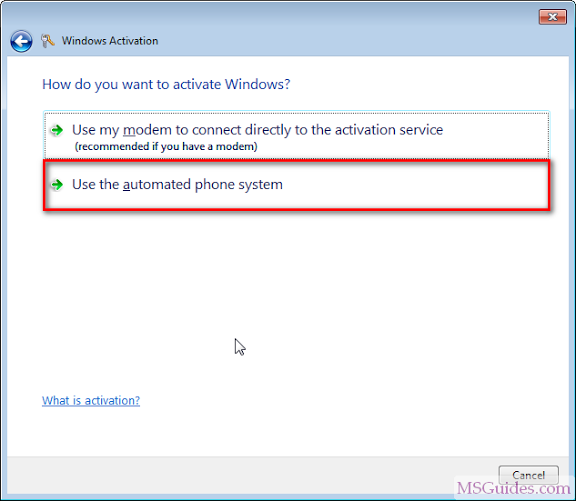 This method is fully legal but it depends on the number of remaining activations on a MAK. 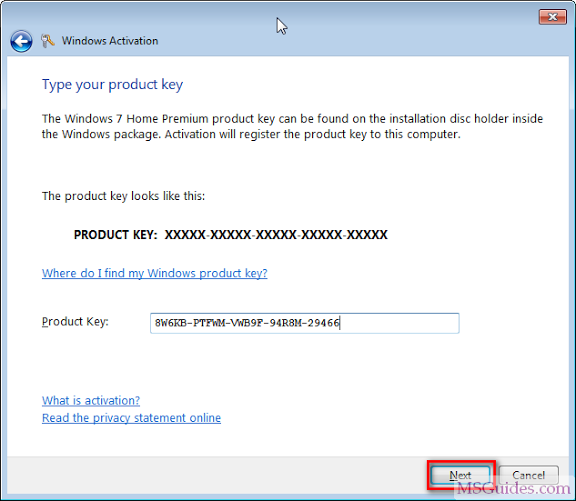 Step 1: Visit here to get right serial key for your Windows. 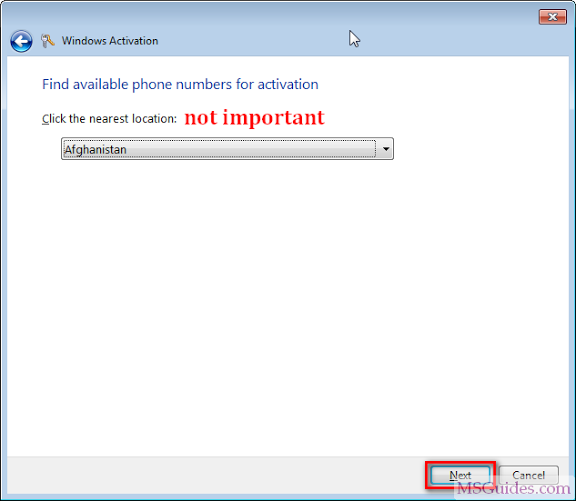 Step 2: Disable the internet connection in order to activate your Windows by phone. Enter the license key you got above. 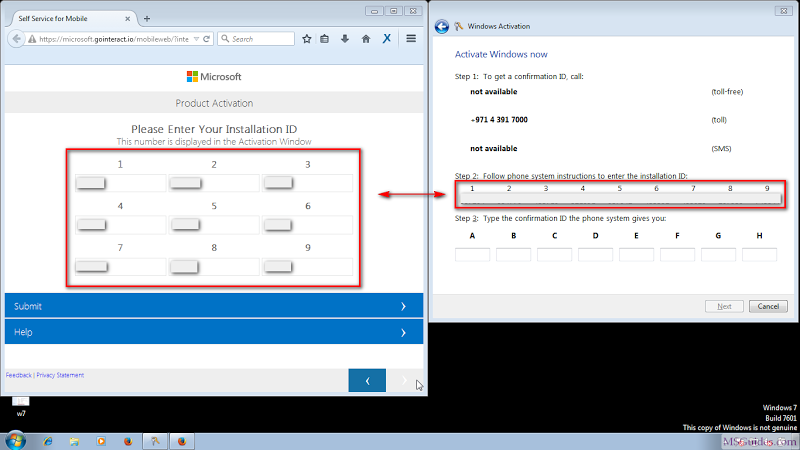 You receive the installation ID (9 groups of 6 digits). 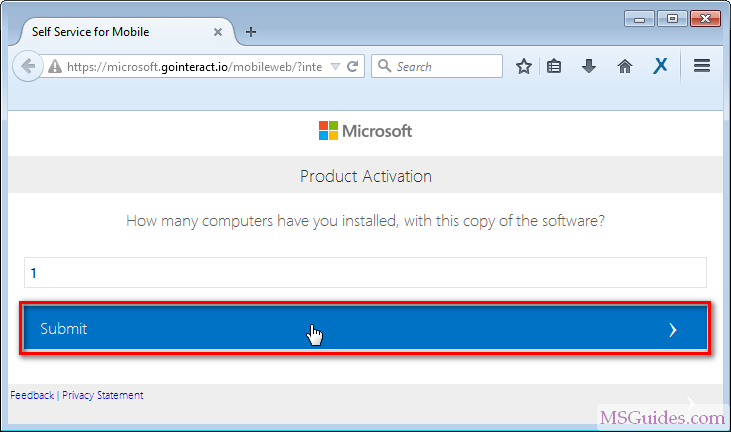 Step 3: Enable the internet connection and visit Microsoft Service for Mobile page. Enter your installation ID into the form. Then click submit button. Q: How many computers you have installed, with this copy of software? 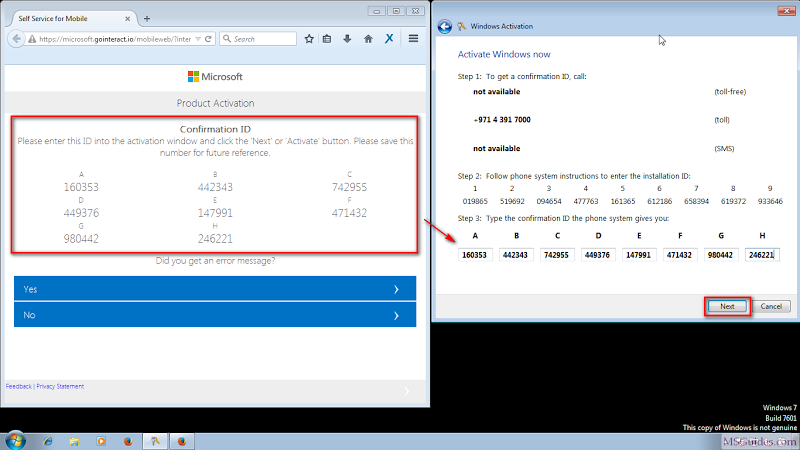 Enter the confirmation ID you got and click Next to activate your Windows. NOTE: If you see one of the notices below, please try another license key. 1. “Unfortunately, we cannot complete this transaction as our records do not recognize this as a valid product. You may be able to return the software to your reseller for a new product. 2. “Your Microsoft Product has exceeded the set number of activations. 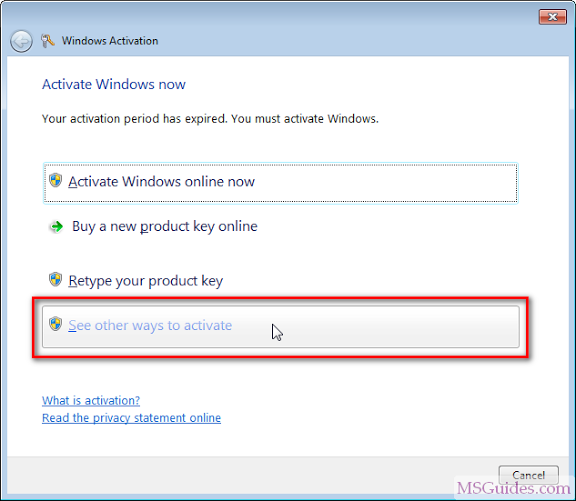 No additional activations can be provided on this product key. Customers with volume license agreements should notify their IT Administrator or IT Professional about this error message. 3. “Let’s get you to one of our Answer Desk agents for help. Strengths of this method are 100 percent success rate and ease in implementation. However, it supports Windows 7 Pro / Enterprise only. That is why I have encouraged people to install Professional edition instead of the others. Here is the latest VirusTotal scan result for this tool: https://virustotal.com/en/file/2f2aba1e074f5f4baa08b524875461889f8f04d4ffc43972ac212e286022ab94/analysis/. 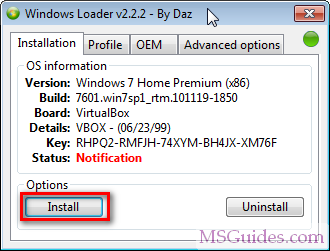 Step 1: Download the Windows 7 Loader tool here (password nextlevel). 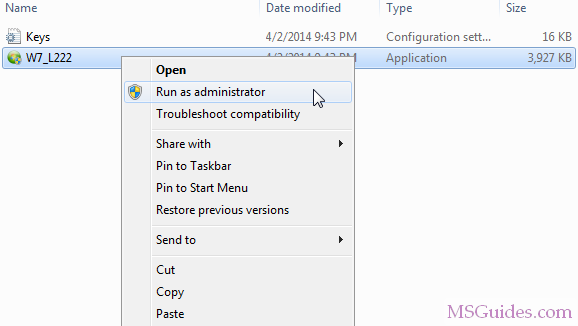 Step 2: Extract files from the archive and run the tool as administrator. Step 4: Restart your PC and check the result. Thank you very very very much, I have unlimited key that microsoft gave my college for students back in 2010 for win7 pro32 and 64 i have put it on 10 or more computers all of them mine mostly fresh and a few downgrade installs, and recently after hacking windows to death on one of them and then reinstalling it would not activate saying the product key is now blocked. This was my main mini atx web surfer so I was hot. you saved the day!! 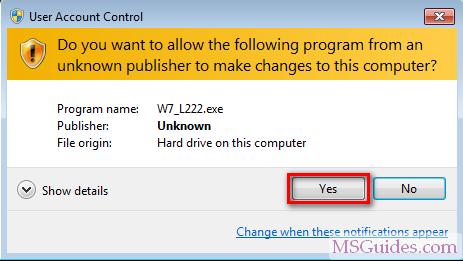 If you do not have the license of the windows on your system, then read this article. It will give you all the required information and guidance on how to get a free license for Windows 7. 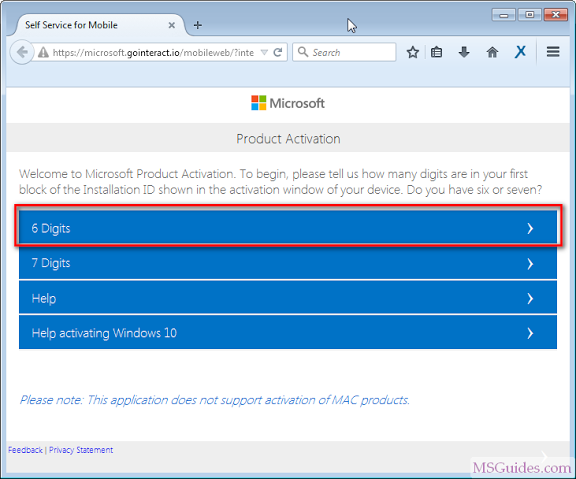 In method 1 : the site visit Microsoft Service for Mobile page. is shown as dangerous by Google Chrome and not proceeding. Is it a phishing site???!!!! Yes you are right, this is a phising site. After hours of trying to bypass the “getidw7” page with a vpn and understanding it was not going to work i simply tried to call the stupid machine that at some point of the call will derp telling you that does not understand the number you just typed and checked 1000 times to be sure its right, so you have to end the call and do it all over again just to be trolled by it, i just enabled my internet and clic the “activate online” thing and guess what it just worked with the key…, guess they really update them daily, cant remember what key i used for home premium but worked. Forgot to say thanks, lol. exelent!I just activated my windows 7 ultimate sp1 x64!thanks! “bit.ly/getw7id” Don’t Work.Can you tell us how to active window 7 ultimat any othere mathod. Not working, Microsoft Service for Mobile page has been shutdown. search google for 1click.cmd for your windows version…… 100% worked for me…… using since last two years…. Hi. 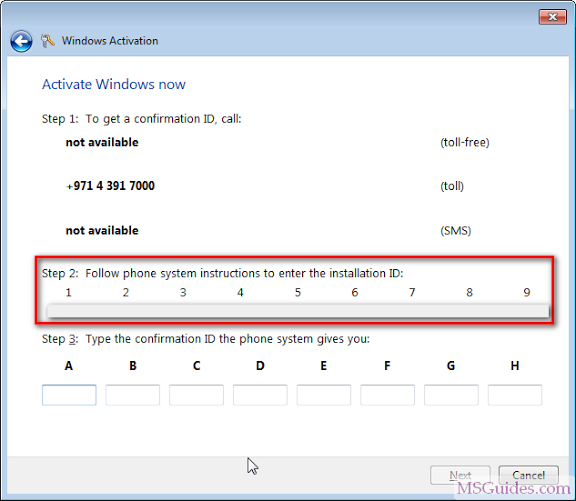 i followed method one at February 2018 it was working and i activated window 7 ultimate but now i am trying and following the same method but now ( http://bit.ly/getidw7) it not working. do you have any alternate link or method? 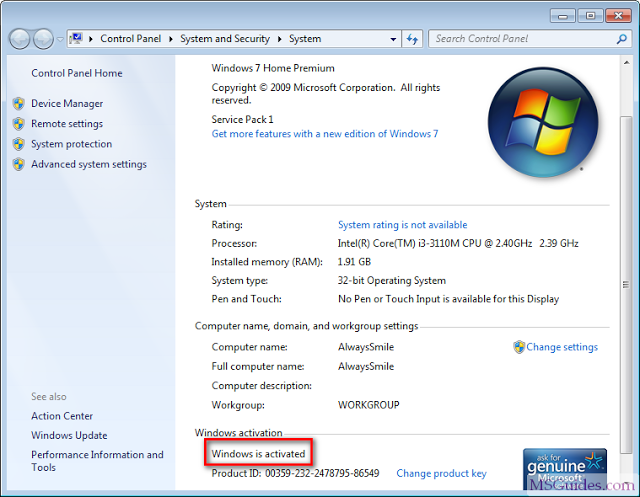 Can I know how to activate windows 7 with cmd? I’m using 1click.cmd and getting message:The connection to my kms server failed! …..Sorry! Your version is not supported. But I do have windows 7 pro. Could you please help? when you paste window key ..before start more process. you should disable your internet connection . Thank you Guang. You. Are. Simply. Awesome. Nuff said! Works perfectly – Thank you! Dump, you should save it then rename it to .cmd or .bat. Just tried your method #2 but it isn’t working for my win 7 pro 64 bit. Could you email me an updated list?